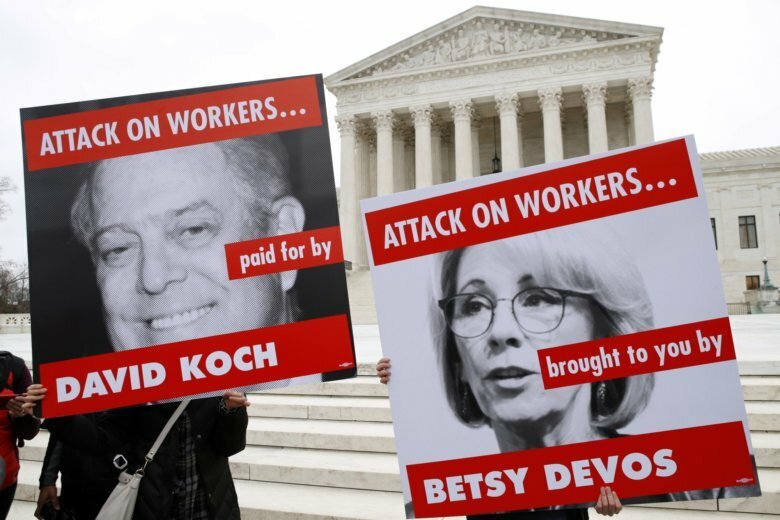 SAN FRANCISCO (AP) — A U.S. appeals court ruled Tuesday that California’s attorney general can collect the names and addresses of top donors to two conservative nonprofit groups, including one with links to the billionaire Koch brothers. Americans for Prosperity Foundation is a charitable organization connected to the primary political organization supported by brothers David and Charles Koch. The brothers’ organizations have spent hundreds of millions of dollars supporting Republican candidates and conservative policies, making the brothers frequent targets of attacks by Democrats. The Thomas More Law Center’s mission includes preserving “America’s Judeo-Christian heritage,” according to its website. It provides free legal representation in lawsuits it sees as key to its mission. “The mere possibility that some contributors may choose to withhold their support does not establish a substantial burden on First Amendment rights,” 9th Circuit Judge Raymond Fisher wrote for the panel.